At least 1,000 California residents were forced to evacuate on Monday evening due to a 2,000-acre wildfire that had already destroyed 1 structure, officials said. California fire officials issued a mandatory evacuation for some residents in Corona, Calif., located about 45 minutes southeast of Los Angeles, as the wildfire threatened to burn multiple homes, according to fire officials. The wildfire, dubbed the Canyon Fire by authorities, ignited on just after 1 p.m. on Monday. It was 5% contained as of early Tuesday morning, according to fire officials, who said the cause of the fire was unknown. 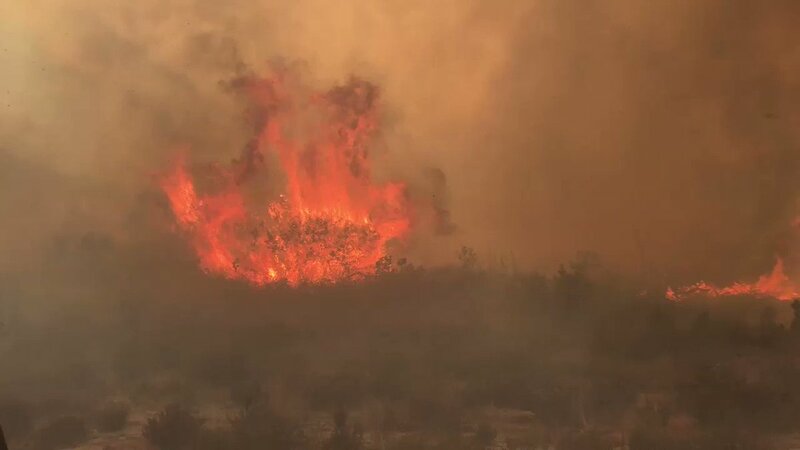 An estimated 300 homes in west Corona were under a mandatory evacuation w/between 1,000 & 1,200 residents affected, Anaheim Fire & Rescue officials said. 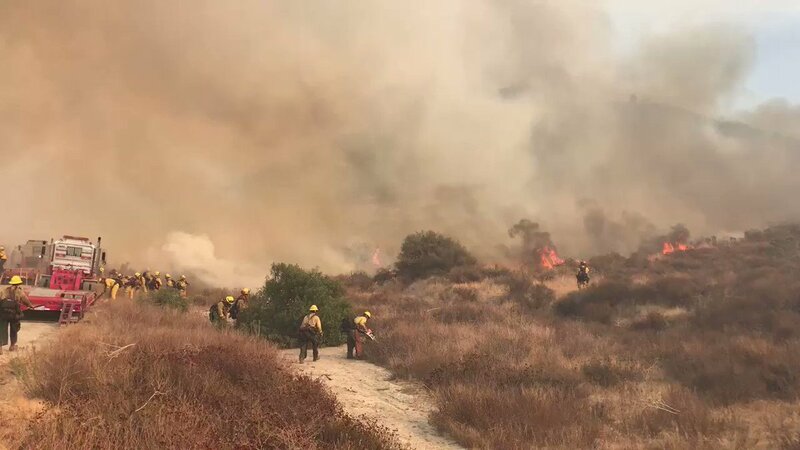 More than 300 fire personnel from multiple agencies were dispatched to fight the fast-growing fire via air & ground, but the battle was complicated by severe winds, fire officials said. The cause of the blaze is under investigation.